TE Connectivity designs and manufactures connectivity and sensor solutions. 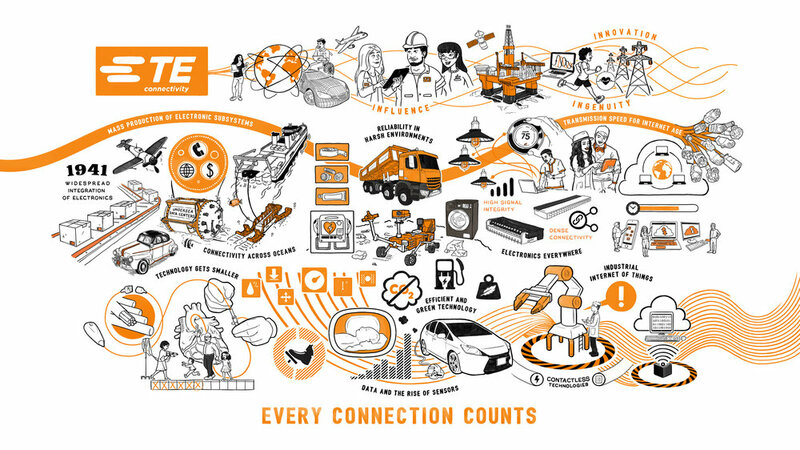 From the Mars Rover, to subsea communications networks, electric cars to wearable fitness trackers, TE Connectivity products literally connect people and things. 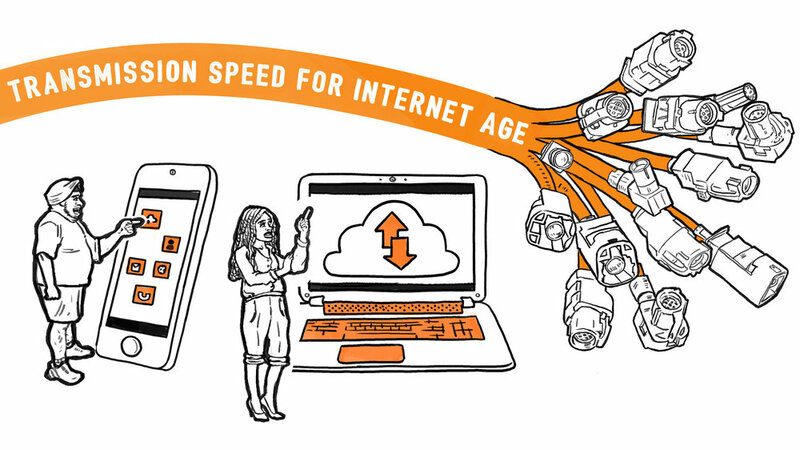 In 2016, TE celebrated 75 years of leading connectivity. Their influence, ingenuity, and innovation continually advance connectivity, helping customers make yesterday's impossible real. This film showcases the history of the company and the way they are shaping today and tomorrow. 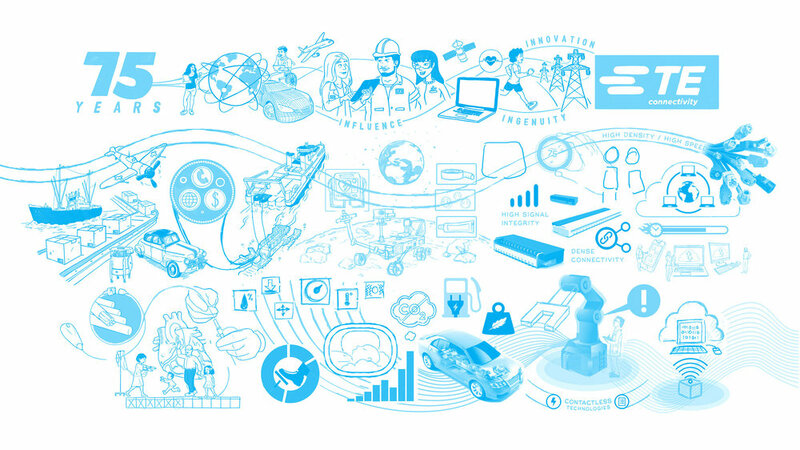 Discover how, by harnessing innovation and ingenuity, TE Connectivity have helped create our interconnected world. From the harsh environment of outer space, to the inner space of the human heart, TE Connectivity products help science move forward and make bold ideas possible. AI is a big and growing part of our lives, but it isn’t new. It enables a range of functions, and as this range grows it is raising questions about the future of AI in society. This Whiteboard Animation for The Royal Society explores the subject. From its inception, eBay has been contributing to the creation of a less linear model of consumption, the circular economy. We worked with expert facilitator Tim LeLean to turn a list of workshop bullet points into something fun, fascinating and memorable. In ‘Changes to Computer Thinking’, Stephen Fry takes us on a rollercoaster ride from the invention of the abacus, through to modern cloud computing. Are you a slave to data, or are you the ruler of your digital empire? What do you do when faced with a serious medical diagnosis? Looking for a new way to invest your money? This film explains the Innovative Finance ISA in a fun, easy to understand way. Recalling Sir Henry Royce’s dictum ‘strive for perfection in everything’, this film highlights the core values of Rolls Royce.